We understand that Parish Councils have a unique and challenging role. They are public sector organisations with their own tax raising powers and broad remit. However, they are also mainly reliant on volunteers and face a very wide range of local challenges and pressures. We have a long track record of providing specialist support to Parish Councils to help them understand the needs of their community, develop projects and run effectively to ensure their communities are vibrant places to live and work. 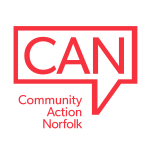 As part of our advocacy role we also help key partners, such as Norfolk County Council, District Councils and other service providers understand your unique role and specific needs and issues. We have drawn on national expertise from across the RCC network to make available to Parish Councils’ in membership an exclusive series of specialist information sheets bespoke to their unique role. Please contact us for specialist support tailored to your needs. Also make sure you are registered to receive updates for our latest training and events.